Today the Senior Football squad travelled to Holm Park, Armagh, to take on Newtownhamilton High School. It was an entertaining game with both sides showing great quality and eventually, from a Brownlow perspective, a real desire to win the game. Inside the first 20 minutes, Brownlow found themselves 2-0 down with Newtownhamilton applying lots of pressure and creating quite a few chances. Brownlow’s chances were limited, but they did pull a goal back just before the half when a fantastic corner from Jamie Maguire-Elliott was forced home by Aaron Boland. At the break Brownlow went in 2-1 down. A few stern words from Mr Gosling and Mr Gordon af half time seemed to spur the lads on as it was a different team that took the field for the second half. A desire and commitment to work for each other was evident in bucket loads. Brownlow got forward well down the wings through Maguire-Elliott and Ricardo De Araujo and this created chances for Darius Ionas. He despatched one soon into the second half to draw Brownlow level and the guys sensed an opportunity to claim all 3 points. Newtownhamilton came back at Brownlow but the back line of Ethan Smylie, Aaron Boland, Jack Cullen, Lewis Brown and goalkeeper Ethan Blake held firm. The midfield duo of Ryan Green and Braydon Cummings worked tirelessly to support their defenders and attackers simultaneously. Elliott Murry-Carr had a fantastic game also; his first of the season. Brownlow got their reward with 10 minutes to go through Ionas who beat the offside trap and coolly slotted home under the keeper. A fantastic second half performance to give Brownlow the win. 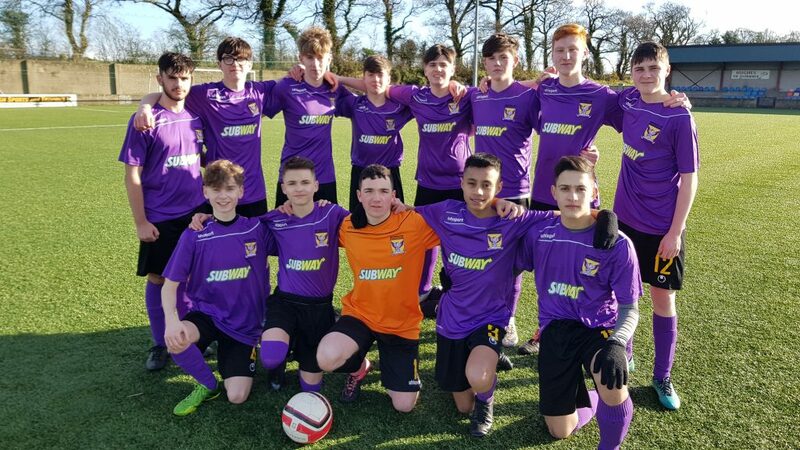 Squad: Ethan Blake, Ethan Smylie, Aaron Boland, Jack Cullen, Lewis Brown, Ricardo De Araujo, Ryan Green, Braydon Cummings, Jamie Maguire-Elliott, Darius Ionas, Elliott Murray-Carr, Ben Tweed, James Jefferson.